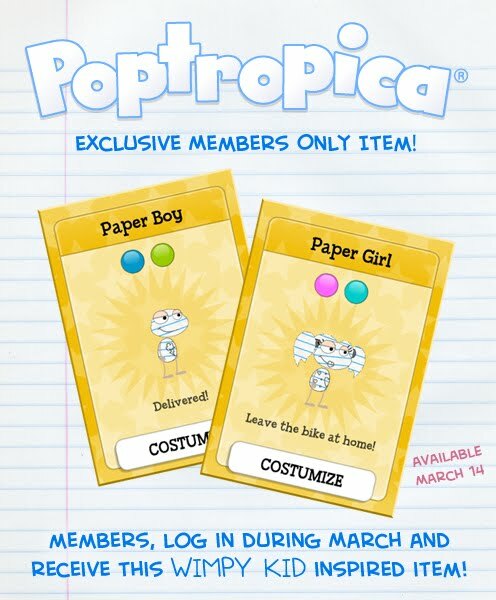 Tomorrow is the last day for Poptropica Members to get the exclusive Paper Boy or Paper Girl costume and power! Getting this special, Members-only Gold Card is easy: all you need to do is log into Poptropica with your active Membership and visit any Island. The costume will automatically be delivered to your Store items inventory menu. Have you visited the Daily Pop lately? If not, you're missing out on special sneak peeks of what we're working on, which you won't find anywhere else. Every day, you can see a new image of something we're working on. Sometimes it's a new Island, as in the picture above. Other times, you'll see early looks at new store items or costumes, or even behind-the-scenes sketches from the earliest days of Poptropica. Sneak Peeks is updated every weekday, so check back often! Time for another check of the ol' leaderboards in the Daily Pop games section. Here's a look at your current leaders in the brick-obliterating game "Smashing." Grumpy Lightning, with a staggering score of 1,199,000. Well done, Grumpy Lightning! While we're at it, let's see how your old pal Captain Crawfish is doing. All right, not so great. It was a practice round. If I'd been playing for real, I'd have beaten Grumpy Lightning easily. Grumpy Lightning's record will stand for another week before monthly scores reset next Friday, April 1, so if you want to beat him and see your name in lights for March, you'd better get cracking! Or smashing, as it were. If you haven't had a chance to check out Wimpy Wonderland yet, this trailer might whet your appetite. Remember that Wimpy Wonderland is open to everyone during Early Access, but only Members will get the Paper Boy or Paper Girl costume. 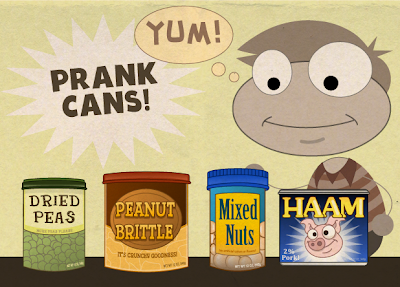 Poptropica Members don't just get Early Access to Wimpy Wonderland. They also a get a free bonus item! Any Members who play Wimpy Wonderland during the Early Access period will get the special Paper Girl or Paper Boy costume and ability. With the costume, you can turn yourself into a lined paper wonder, right out of the Wimpy Kid universe! Even better, you can paperize anybody else you see anywhere in Poptropica -- even Director D.! You'll be able to keep this Card forever, even if you cancel Membership later, but once the Early Access period is over, the Card will be gone. Don't miss your chance! Congratulations to the first 10 finishers of Wimpy Wonderland! Wimpy Wonderland has been available to Poptropica Members for only a day, and already hundreds of players have completed the adventure. Here are the first 10 people to finish Wimpy Wonderland. We can't wait to see many more of you earn the Wimpy Wonderland medallion in the days and weeks ahead. Wimpy Wonderland is now available for Poptropica Members! Poptropica Members can log on right now to start playing Wimpy Wonderland! Join Greg Heffley and all your favorite Wimpy Kid characters for the most hilarious Poptropica Island yet! Visit Poptropica to start playing. If you're not a Member, find out how you can get Membership. Saddle up, pardners! Wild West Island is now available for everyone to play. Head on over to Poptropica and visit the travel map to start playing Wild West Island right now! Hey hey, my my -- rock and roll can never die. But the rock star costume will be gone from the Poptropica Store very soon. 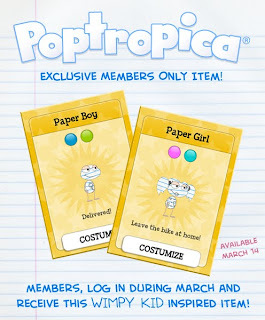 As always, Poptropica Members can access all of the costumes in the store for free, and non-Members can buy the costume with credits. Either way, time is running out for you to get your hands on your own rocker outfit, before it heads to the great gig in the sky.